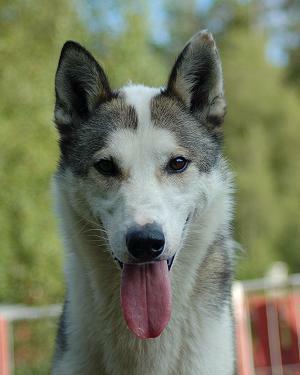 Big Buffalo, now called Uule, has moved to Finland and lives at the Kennels Good Mushing and Nordysak. I am collaborating with Kati Sivonen and Suvi Lathinen, and he is one of the puppy swaps between them and me. Uule is reported confident and strong. Hopefully he will give them lots of joy in harness.